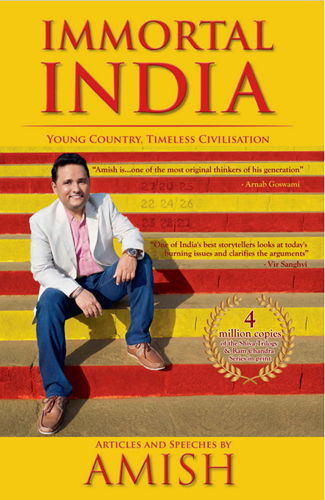 A new book “Immortal India, Young country, time less civilisation. Articles and Speeches by Amish“ is released on 28th August 2017 by the publisher Westland. Amit is famous for his books Shiva Trilogy (The Immortals of Meluha (2010) ,The Secret of the Nagas (2011) ,The Oath of the Vayuputras (2013)). Later he also published another series named Ram Chandra Series (Scion of Ikshvaku (2015), Sita – Warrior of Mithila (2017) and Ravan – the orphan of Aryavarta (will be published later). The book available on Amazon India. The Kindle edition is INR 166 and Paperback version is available for INR 166.